Mindtree V/S L&T: What's In Store For Mutual Fund Investors? In India, management control lies in just a few hands, whether it is a corporate entity or a political party. However, preferences change with the times. As far as the corporate world is concerned, new-generation businesses have realised the benefits of running companies professionally and a democratic approach to decision making. Some of India's well-run companies have a low promoter shareholding which generally means a less interference of founders/promoters in company affairs. But sometimes low promoter holdings can lead to invasion by a competitor, especially if Chowkidars (Pradhan sevaks of the company) are caught napping. India's corporate world is experiencing such invasion by Larsen and Toubro (L&T), country's leading construction engineering company and one of the largest conglomerates. These days it's trying to acquire Mindtree, a new-generation Information Technology (IT) company, against the will of its founders and promoters who are presently at the helm. Recently, L&T inked an agreement with Coffee Day Group and its founder VG Siddhartha to acquire their 20.4% stake in Mindtree for approximately Rs 3,400 crores. Experts believe that now L&T will launch an open offer for minority shareholders and will even raise its stake by buying shares in the open market to take the management control of the Company. The present management of Mindtree has called this takeover attempt as a hostile and an unfortunate move and has warned against the possible value destruction on account of this. Mr Subroto Bagchi, Mindtree's co-founder and ex-CEO recently resigned from the chairmanship of Odisha Skill Development Authority to return back to his roots to save the tree he watered once. He couldn't hide his disappointment while speaking to media, "I cannot stay miles away, ensconced in another world to live the nightmare that the builders have arrived with the excavators, bulldozers, chainsaws, cranes and the impeccably drawn up blueprint to raze Mindtree." Is L&T doing something illegal? Doesn't look like. At least nobody has claimed so publicly. Has VG Siddhartha and his Coffee Day backstabbed the present management? Monetising one's investments, especially when the core business of the investor requires capital to counter competition may not look unreasonable. Is L&T's decision to buy VG Siddhartha's and Coffee Day Enterprise's stake unethical? Nobody might claim so had it been just a financial transaction. But L&T has made its intentions clear. It wants to acquire the controlling stake; although it has maintained that, for now, it will allow the Company to run as a separate entity. And this is the hostile part of the entire Mindtree saga. The founders and promoters do not wish to step down or leave their driving seats. Nevertheless, if L&T becomes the controlling shareholder, that might be the end of the road for the present management. What made it possible for the construction behemoth to destruct the castle of founders' ambitions? The answer lies in the ownership pattern. As of December 31st, 2018, the promoter group held only 13.32% stake in the Company. Foreign Portfolio Investors (FPIs) dominated the ownership pie with their 40.18% stake in Mindtree. Moreover, 23 mutual fund houses collectively held 8.34% of the stake with UTI Mutual Fund and L&T Mutual Fund holding 2.90% and 1.08% stake respectively. Revelations of Mr Ashok Soota, a member of the founder group, who claimed to have brought Mr Siddhartha on as an investor are startling. He believes the situation (of hostility) Mindtree faces today is not different than what it might have encountered approximately nine years ago, when he exited, if Coffee Day Enterprises and its founder hadn't invested in the Company back then. Does that mean, Mintree founders took VG Siddhartha and other investors for granted since they neither attempted to raise their stake nor could they rope in any investor to dilute the concentration of shareholding in the hands of just one shareholder, VG Siddhartha? According to media reports, VG Siddhartha didn't pull wool over the eyes of the present management about his intentions. Shareholders and voters are alike! Chowkidars shouldn't take them for granted. Has Mindtree management made this mistake? Many market experts believe, nearly 20,000 employees of Mindtree are in for a rude cultural shock if L&T supersedes the present management. L&T, as experts claim, follows the traditional system of corporate hierarchy; whereas, Mintree is a new-age company with a lateral, open culture where calling founders by their first name is a norm. How the potential 'hostile takeover' would affect mutual funds? As on February 28, 2019, the total value of mutual funds' investment in Mindtree was Rs 1,227 crore. Mutual funds don't seem to be happy with the hostile takeover attempt by L&T. Mutual fund houses are speaking in favour of the present management. Speaking to the Economic Times, on the condition of anonymity, a CIO (Chief Investment Officer) of a domestic fund house expressed the concerns, "Continuity of management is key for an IT company. A different culture and new management tend to unsettle existing clients. If L&T comes in, it is likely that the current management will change, and the company will lose its founders that will be detrimental to growth over the next one year." Another fund manager expressed similar views, "L&T is a giant, we do not know if they will allow Mindtree to run standalone or merge it with one of their IT companies. From our perspective, the current management is the best bet." Another CIO said, "The price difference in the current market price and what L&T has agreed to pay (Rs 981 per share) to buy the entire stake held by Siddhartha and two of his CCD firms is just Rs 18. That does not make sense for us." But if you thought mutual funds are opposing the 'so-called' hostile takeover on moral grounds then you are perhaps mistaken. They might bid their shares in the open offer only if L&T offers them higher premium (as compared to what it paid to VG Siddhartha and his Coffee Day Enterprises). Is it inappropriate to say that everybody's fighting for one's share? The minority shareholders -- the janata? Taking high moral grounds and sticking to them is easier said than done! Mutual fund houses collectively held shares worth Rs 28,623 crore in L&T as on February 28, 2019. As shareholders, will mutual fund houses write to L&T in protest of its attempts to takeover Mindtree and save the Company's present management -- their best bet, as they call it? Remember, only a few mutual fund houses will have the courage and spirit to walk the talk correctly. Follow PersonalFN's unbiased Mutual Fund Research Reports to find out which fund houses do really care about your interest and take a tough stance against crony capitalists attempting to bulldoze others' ambitions with sheer money power. Editor's note: Are you looking for "high investment gains at relatively moderate risk"? We have a ready solution that could be suitable for you -- PersonalFN's Premium Report, "The Strategic Funds Portfolio For 2025( 2019 Edition)". In the 2019 Edition of PersonalFN's Premium Report, "The Strategic Funds Portfolio For 2025", you will get access to a ready-made portfolio of its top recommended equity mutual funds for 2025 that have the ability to generate lucrative returns over the next 5 to 6 years. Subscribe now! Equitymaster requests your view! 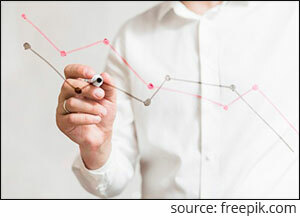 Post a comment on "Mindtree V/S L&T: What's In Store For Mutual Fund Investors?". Click here!